Heights. Powerful machinery. Electricity. These are just a few of the reasons that construction working is such an inherently hazardous trade. Construction is Australia’s third most deadly industry and fifth most likely industry to cause serious injury, with 35 workers seriously injured every day. Falling objects: This accounts for approximately 10% of injuries. Even a small item such as a bolt has the potential to cause grievous injury if it is knocked from a height. 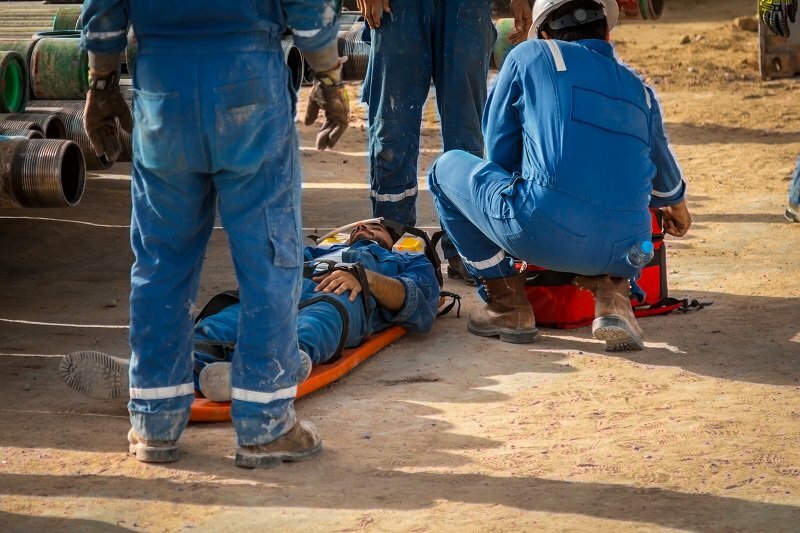 Safe Work Australia reports that the number of injuries and fatalities in the construction industry have fallen significantly over the last decade, but there is still a long way to go. It appears that worker and employer attitudes and education play a huge role in determining how safe (or unsafe) construction sites are. Workers and employers alike report that momentary carelessness and ‘not thinking’ are key causes of work-related injury, with insufficient education and training also playing a driving role. It should also be noted that many workers indicated they’d take risks in order to complete work on schedule - an approach employers ought to strenuously discourage. 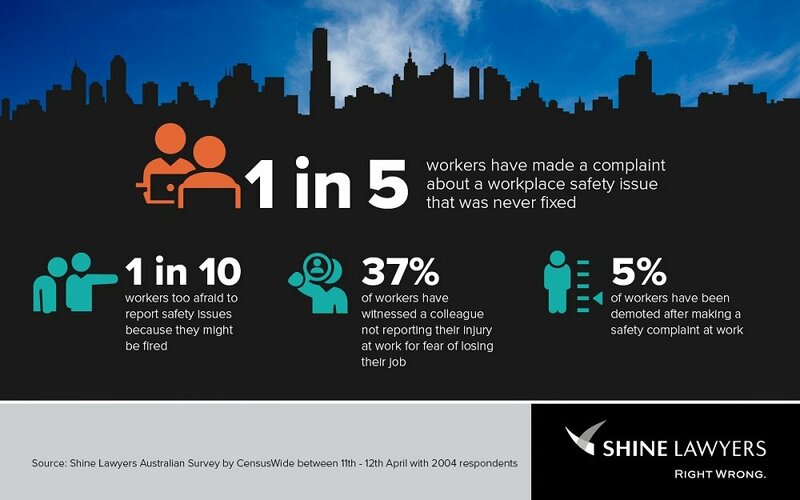 Shine Lawyers have represented many clients who were injured in a construction workplace accident. If you or someone you know has been injured, let our expert legal team help with making things right and secure the much needed funds to regain your independence. Our 'no win no fee' guarantee means you will have peace of mind knowing you only have to pay our legal fees if we win your claim at the end. Written by Shine Lawyers on April 16, 2018. Last modified: March 18, 2019.